This dog works as a great pet for any family. They love a good ’ole game of fetch any day but are also calm enough to cuddle on the couch and watch a movie. Even though they may be small, they are an effective watchdog, barking at the first sign of any intruder. Their charming personality and adorable features make the Yorkie Poo a rising favorite among all pet owners. 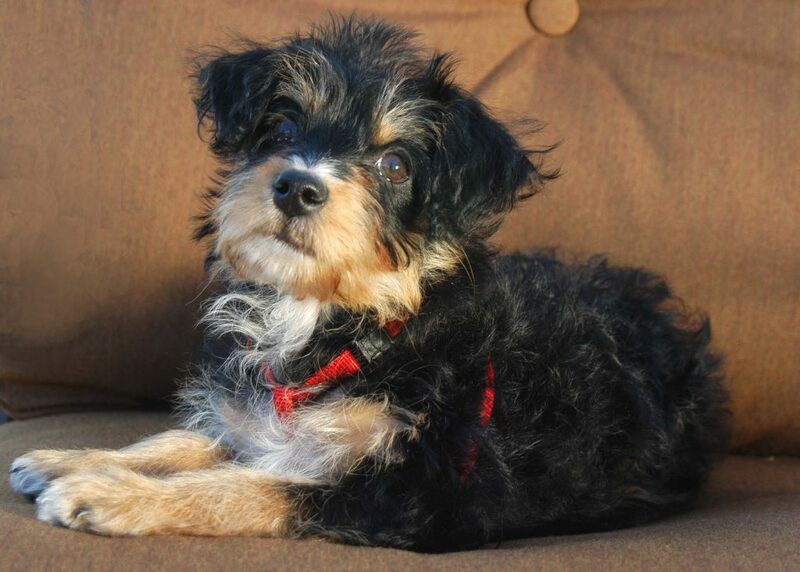 Lively, affectionate, and sassy are all words to describe a Yorkie Poo’s personality. Keep in mind that a Yorkie Poo’s temperament can vary drastically depending on their genetics – some are more Yorkie, while others more poodle. Regardless of which breed they take after more, the Yorkie Poo is known to thrive from any type of human interaction. You can expect your Yorkie Poo to join you in any conversation. As long as there are people around giving them plenty of attention, they will be one happy dog. This breed craves affection, which makes them even more loyal to their family and loved ones. 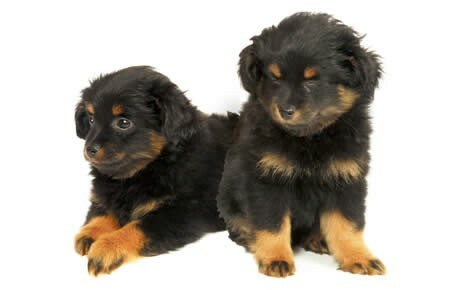 For the most part, the Yorkie Poo is a happy, go-lucky breed, great for any pet owners from novice to experienced. Before you know it, your Yorkie Poo will be acting as if they were another addition to the family. Yorkie Poo’s are an intelligent breed, which makes them a great candidate for training. As with any bread, starting the potty training process as soon as possible is preferable. House training a Yorkie Poo puppy can be challenging because they can be stubborn at times, so make sure you are doing short, and fun training activities. If your Yorkie Poo puppy becomes bored with repetitive training, they will rebel and stop trying. Read our tips on crate training a puppy for more information on training your Yorkie Poo Puppy. Socializing your puppy is also highly recommended. Make sure to have them familiarized with different children, animals, places, and experiences. While the Yorkie Poo is known to be a very social and friendly animal, it is still smart to go through this process to ensure a well-mannered pet down the road. Make sure you have your puppy leash trained before you go out. Read our tips on leash training for more information. Positive reinforcement works best, especially with smaller dogs like the Yorkie Poo. As long as you keep the activities fun and challenging, you should have no problems at all teaching your Yorkie Poo pup new tricks! Although the Yorkie Poo does not require a lot of exercise, they still need their daily dose of playtime. Normally this breed is very active just running around the house chasing children and family members. 20-30 minutes of walking is highly recommended in order to keep your pup in the best shape possible. Known for their high energy and playful spirit, a Yorkie Poo loves to play games. Whether it be a game of fetch or tug-of-war, this breed will keep going until they run out of energy. The Yorkie Poo life expectancy is typically anywhere between 10-15 years. As said previously, the Yorkie Poo is still a very young breed. However within the 10 years that they’ve been around, they’ve become one of the most popular designer dog hybrids known to date. This breed has increased in popularity year after year due to their loving personality, favorable genes, and affectionate charm. Yorkie Poos can vary greatly in size, and that is why it’s very important to keep that in mind when coming up with a feeding regimen. Before coming up with a feeding schedule yourself, consult with your veterinarian to learn about their recommendations. Also, make sure to keep your pup hydrated and have a bowl of fresh water available at all times. Most importantly, make sure that you are feeding your pet foods with high-quality nutrition. Look for all natural ingredients such as chicken or vegetables. Many generic pet food companies include ingredients like soy, chicken by-product, wheat flour, or corn, which is very unhealthy for your dog. Whether your pup is curly like a poodle or straight-haired like a terrier, grooming is a necessary step in maintaining their overall health. A Yorkie Poo should be brushed daily in order to keep their coat in great condition and prevent any mats from forming. A pin brush should be used for detangling and smoothing out any loose hair. Aside from brushing, make sure to check your dog’s ear once a week. Since they have longer flapped ears, moisture can easily be trapped and cause infection. Are Yorkie Poos Good With Kids? The Yorkie Poo is the perfect companion for children of all ages. They can be gentle yet playful, perfect for any type of household. Even though they are known to be well-behaved dogs, make sure to socialize them at a young age. Socializing your Yorkie Poo with other dogs and humans will help them become more comfortable in different settings. No matter the breed, make sure that an adult supervises any interactions between a dog and a child at all times. Whether it be the dog or the child, roughhousing can easily occur which can lead to unpredictable and possibly harmful behavior. Since the Yorkie Poo is such a small breed, they can easily become injured when playing with aggressive children. For the most part, Yorkie Poos are generally a healthy breed. With that being said, they are still prone to several health problems compared to other breeds. Patellar Luxation: This condition is often seen in small dogs. Patellar Luxation occurs when the kneecap becomes dislocated from the thigh bone, which can lead to pain or inflammation. Portosystemic Shunt (PSS): A portosystemic shunt occurs when there is an abnormal connection between the liver and the rest of the body. PSS can lead to several health issues such as seizures, stunted growth, loss of muscle development, or abnormal behavior. Epilepsy: This neurological disease is the most common cause of seizures in dogs. Its severity ranges case by case and should be treated by a veterinarian as soon as possible. These seizures can be caused by toxins, tumors, infections, or trauma. Legg-Calve-Perthes Disease: Mostly affecting smaller breeds, Legg-Calve-Perthes Disease causes degeneration of the head of the femur bone which leads to inflammation, pain, and lameness. Hypothyroidism: This occurs when a dog has a low level of thyroid hormones. Hypothyroidism can cause lethargy, weight fluctuations, and skin issues. Once diagnosed, it can be cured with medication and a change in the diet. Atopic Dermatitis: This chronic skin condition occurs from allergies. Pollen, plants, foods, mites and other environmental factors can all cause this disease. Most dogs that have Atopic Dermatitis will scratch, bite, lick, or rub their body to alleviate their discomfort. This skin condition can cause loss of hair, dry patches, or inflammation and should be treated as soon as possible. Thanks Canna-Pet for giving my best friend some much needed relief and to be able to be a DOG again! He is much happier and HEALTHIER!